The Halloween season is upon us, which means sharing fun, spooky treats – no tricks allowed! -- to your friends and family. 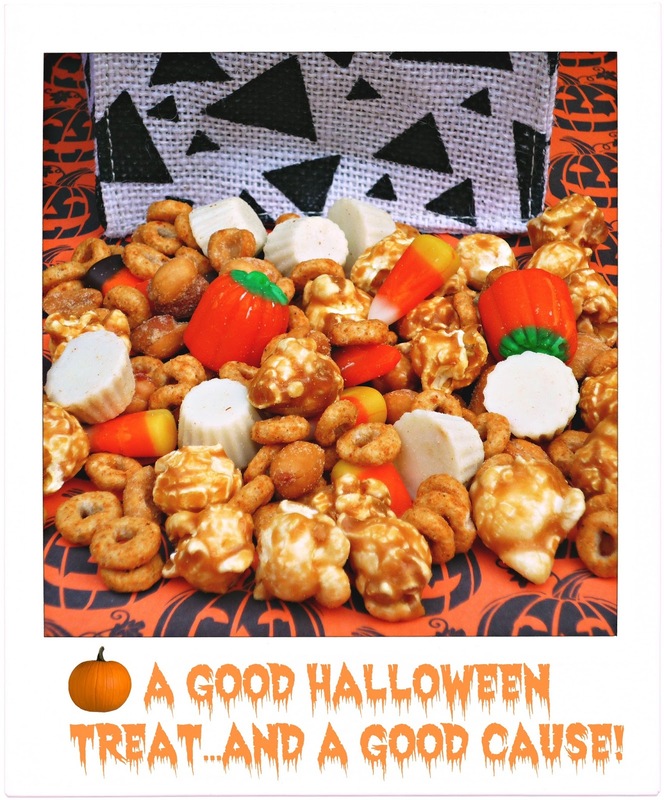 Today, I’m teaming with a great company called Global Purpose to show you how to create a fun Halloween snack mix, then package it in a fun and purposeful way using Global Purpose burlap gift bags! My no-bake Wickedly Good Halloween Snack Mix Gift Bag is a perfect project to make with your kids, grandkids, or nieces and nephews. 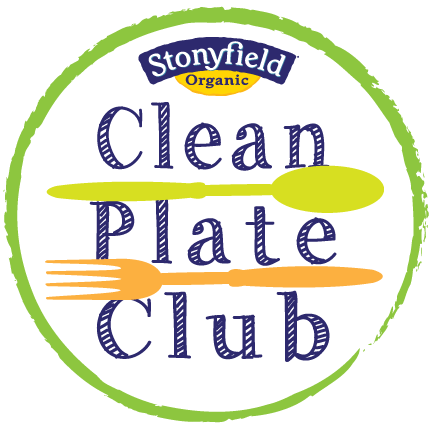 While you assemble the snack mix, you’ll have a perfect opportunity to talk with them about Global Purpose’s life-changing mission! The company was founded by Kaylynn and Jon Jordan as a social enterprise to connect purchases and positive change in real, sustainable ways. 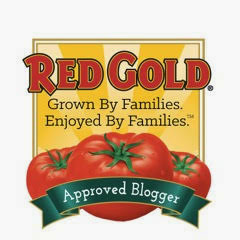 This purposeful giving company provides education and income opportunities for people living in vulnerable communities. Through these giving bags, Global Purpose is providing fair wages and training for 50 teachers at four schools across Haiti -- as well as 16 teachers in rural Uganda. Via those teachers, the future of more than 2,000 students each school year are directly affected – talk about truly making a difference! The purchase of these giving bags supports teachers in a way that supports the entire community. 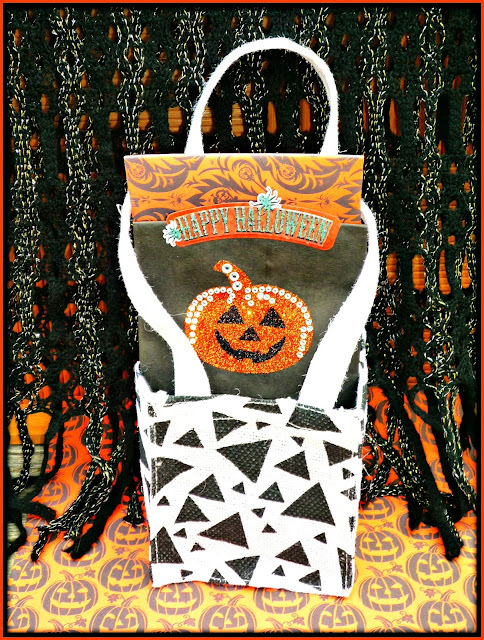 Let me show you in a few simple steps how to create my Wickedly Good Halloween Snack Mix Gift Bags, that are presented in a Global Purpose burlap bag. I'm not typically crafty, but I had a fantastic time with this project! 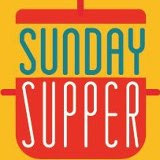 Step 1: Add the oat cereal, caramel popcorn, peanuts, mallowcream candy, and mini peanut butter cups to a large bowl. Stir to combine. Place a black paper gift bag inside the Global Purpose burlap gift bag. Step 2: Scoop approximately 1.5 cups of the snack mix into each gift bag – you’ll have some snack mix left to munch on yourself! Fold the top of the black bags over and seal the bags with a decorative Halloween sticker. Step 3: Decorate the front of the black bags with Halloween décor of your choice. 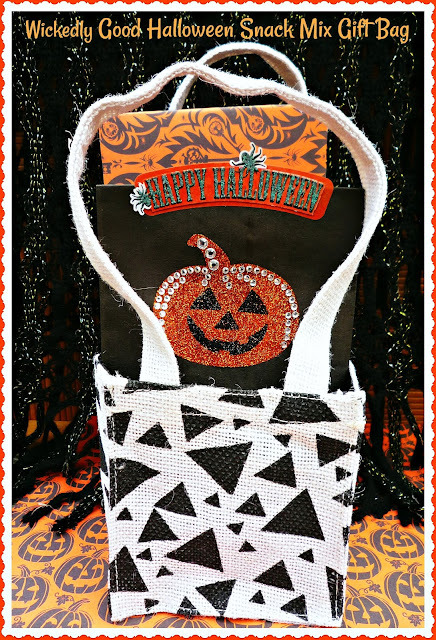 I found some cute pumpkin stickers adorned with sparkly crystals that I knew would be perfect, but let your creativity guide you! 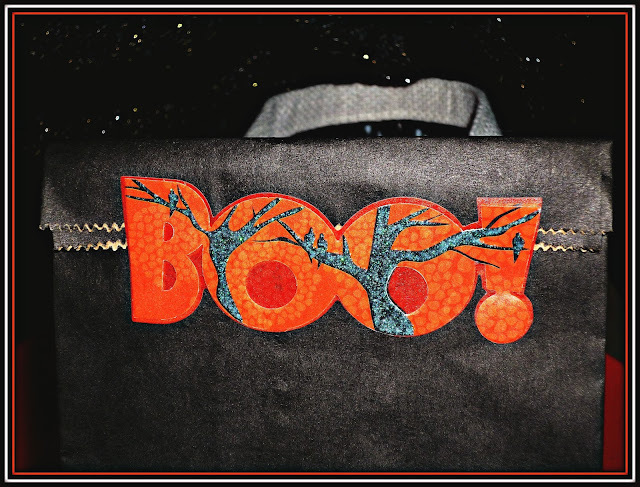 Add a piece of Halloween scrapbook paper or tissue paper to complete the décor. For a final touch, be sure to include a card telling your gift recipients about Global Purpose’s mission – and how the burlap bag included with your gift set is making a difference in the lives of students in Haiti and Uganda. Now, that’s a treat that will keep giving after Halloween is over! 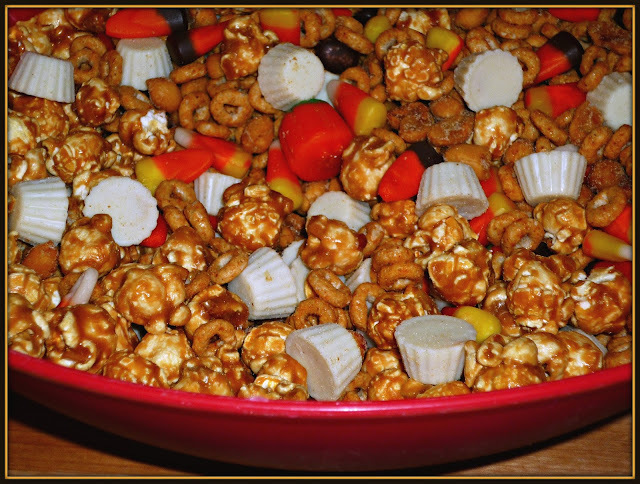 This snack mix is ready to enjoy in about 5 minutes – and it’s really tasty. Pumpkin spike oat cereal is an ideal Fall flavor, and the peanuts and mini peanut butter cups work perfectly together. Add in some fun candy corn and pumpkins…and you’ve got a festive, fun treat. With my simple do-it-yourself presentation, anyone can make a Halloween gift that tastes great, is festive to look at, and makes a significant difference in the world. That’s my idea of a perfect Halloween treat! This gift set is ideal for teachers, co-workers, and other special people in your life. By picking up these Global Purpose bags at your local H-E-B, you’ll benefit Haiti and Uganda – and you’ll put a smile on someone’s face. 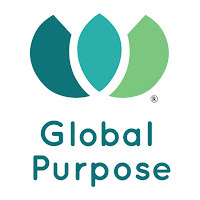 Be sure to include a note in your gift bag telling them about Global Purpose’s mission too. As an added bonus, your recipient will have an adorable Global Purpose canvas bag to use long after Halloween is over. If you’d like to make this Halloween gift set, Global Purpose’s brand partners like Help One Now are currently sold at San Antonio H-E-B locations! 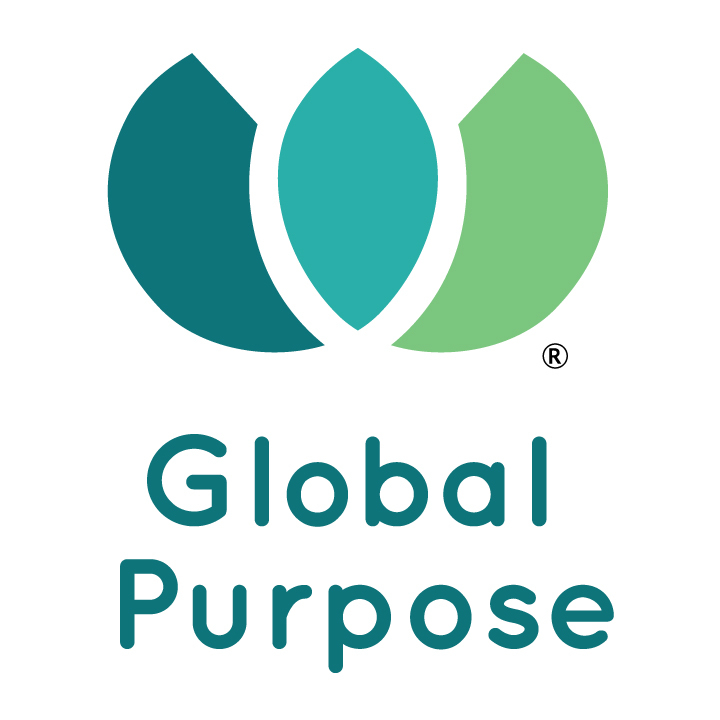 To learn more about Global Purpose, be sure to follow them on Facebook, Twitter, and Instagram. 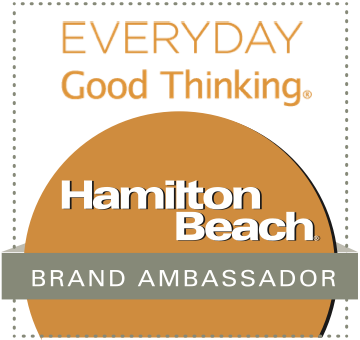 Disclosure: I received Global Purpose merchandise and a gift card to H-E-B to facilitate this post. All opinions expressed are solely my own.